With each new doll I make, I fall more in love with creating them. So now I'm just adding each new one to my collection, I don't think I can sell any of these - they're just too cute. I do plan on adding them as a custom order to my Etsy shop, but that may take another month or so. I'm still trying to figure out hair, that's the hardest part for me so far. And I need to try and make little boy's too, I think they might be a challenge as well. 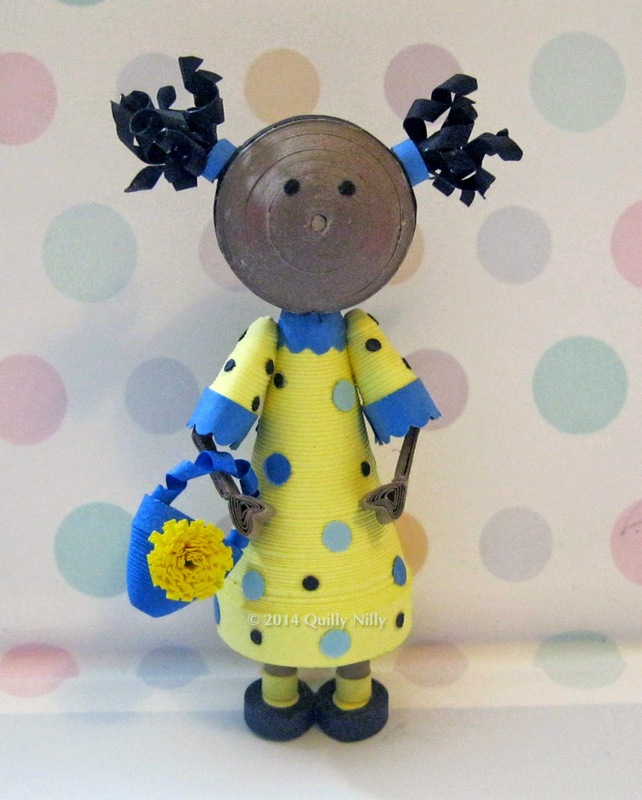 This little cutie is wearing a blue and yellow polka dot dress and is carrying a matching purse. She fits in perfectly with the others.